Help! There is a mouse in my house and he is building his own. One nice fall day, I discovered the calling cards of a mouse. He hadn’t left them in the kitchen or storage room where one would expect him to be filling up on food. I found his trail in my extra bedroom, the room where I have my loom and all of the yarn I have stored for future projects. Now my task was to beat him at the game, track him down, and eliminate him. My first step was a trip to the store to buy as many mouse traps as possible and some peanut butter to use as bait. Once back home, I loaded on the bait and set the traps, scattering them around the house, but concentrating them in the extra room. The next day I checked the traps and found the mouse dead on the trap in my yarn closet. He was the plumpest mouse I have ever seen. No wonder: he had been eating the rice which filled the neck warmer I had received as a gift. Cleaning the closet was a slow and tedious job, removing all of the yarn to vacuum up the rice and calling cards. Amongst the yarn, the house of the mouse was found. He had helped himself to the soft and pretty alpaca and mohair yarns, a little bit of blue, a bit of pink, some gray and white. Small pieces taken from the middle of the skeins and pulled apart to create a fluff ball of camouflage yarn for a cozy winter retreat. New plastic bin for yarn storage. Once the closet and yarn was cleaned and sorted, I made another trip to the store to purchase clear plastic storage containers and dryer sheets, the stronger the scent the better. With the containers being clear, it is easy to see what is stored within the tote. The tight-fitting lid will help to keep out unwanted house guests. The dryer sheets also help to keep the mice away when placed on the outside of the totes. The clear plastic storage bin means there will be no surprises when the bin is opened! Don’t store grain-filled items in rooms other than the kitchen or pantry. When a mouse is caught, call someone to remove the trap intact with the mouse and deposit it in the trash. If no one is available to help, a shovel will do the job to scoop up the rodent and trap and deposit all in a trash bag. 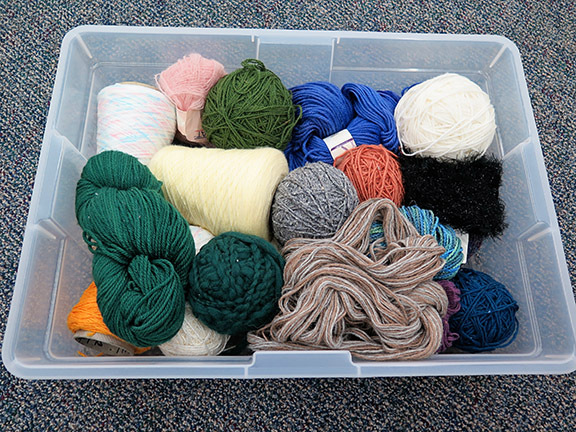 Store yarn in a clear plastic bin with a tight-fitting lid. This will allow you to see what yarn is being stored and impede the path of the mouse to gain access to the soft and beautiful building materials. Scented dryer sheets help to repel mice and can be placed around the closet on the outside of the totes. 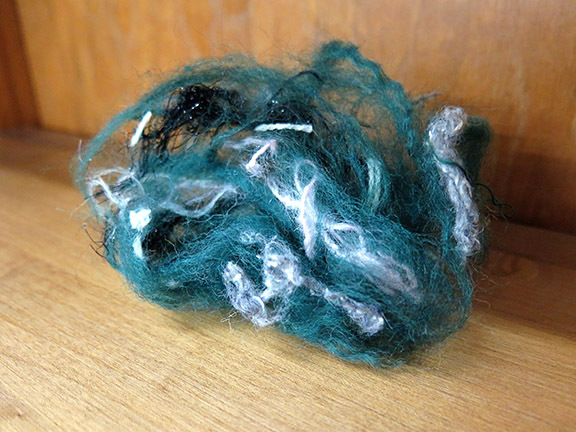 Good storage practices are vital for safe and clean storage of yarn.